At SpringCon this year I had the pleasure of sharing a table with Mike Bullock (The Phantom, Lions Tigers and Bears). Mike and I had been acquaintances for a while, but it was the first time we'd had the opportunity to sit down and really talk. 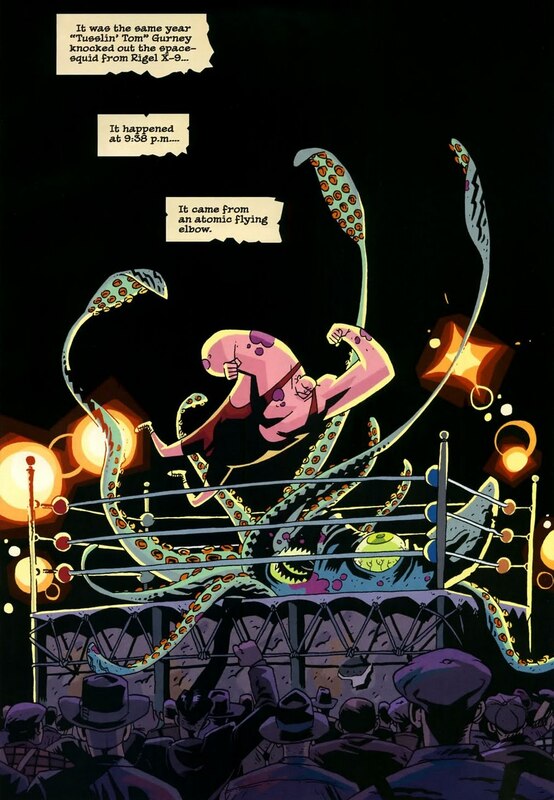 We chatted about a lot of things - books and comics we like, the recent resurgence in pulp, stuff like that - but one of the things that's stuck with me longest from that conversation was Mike's interest in writing prose, particularly short stories. It really is mostly practice, the art. Writing too, but you have to go through a number of stories to start making leaps. That's why short stories are important to do, and there need to be more venues for them. 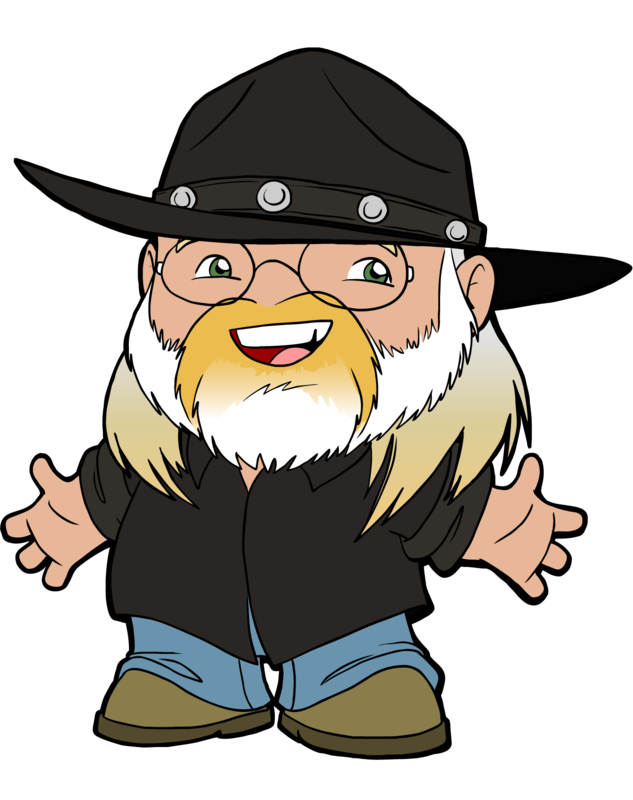 ...he said that being a beginner, unpublished writer declaring that he's writing a 7-book series is kind of like being a guy who has just started rock climbing and announcing to the world that the first climb he's going to do is a little hill called Mount Everest. That's absolutely not what you want to do. It's too hard. Too big in scope. If you are a beginning rock climber, you want to start with the climbing wall at your local REI or a small hill that won't kill you first. As an agent, I've given this advice any number of times but in the end, writers don't believe me. Okay don't believe me. Believe George instead! Forty years in this biz, he knows what he's talking about...Start with short stories where you are forced to have a beginning, middle, and end. You are also forced to nail plot and character in a short amount of space. Then graduate to something bigger--like a novella or one stand-alone novel. Master that. Then tackle the big series. I'm not planning any multi-novel sagas (though I've certainly got ideas! ), but I'm still taking to heart the encouragement to practice my writing through short stories. I've sold three of those now and loved the experience each time. They don't take a lot of time, but Parker, Martin, and Nelson are right: writing those has taught me more about the craft of writing than any number of author interviews, articles, or books (though I've learned a lot from those too). 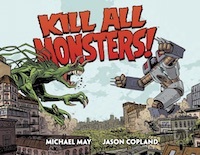 When Jason and I finish Kill All Monsters, I'm going to take some time off from comics and focus on short stories for a while. 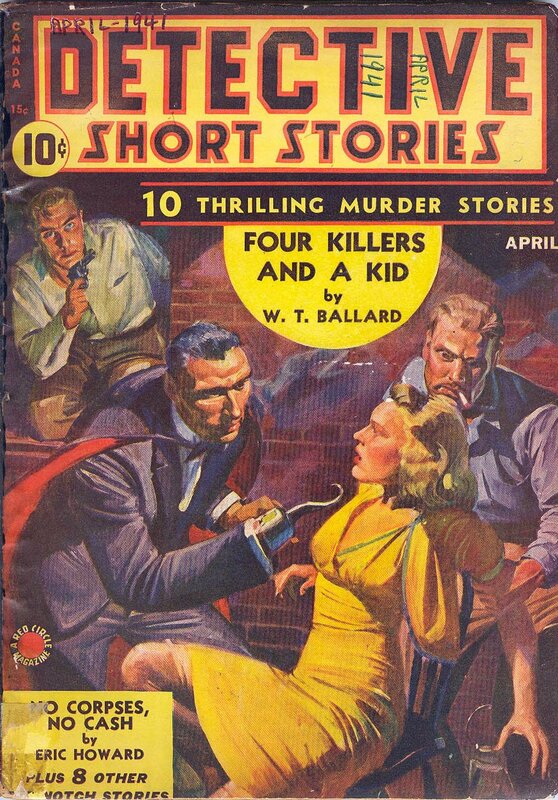 I'm already working on the first of them, a mystery about a guy in the 1940s who wears a Freddie Krueger-like mask to fight crime. The Twin Cities has a ton of great, independent bookstores and I try to use them as much as possible. It hurts to pay more for the same product I can buy online, but I remind myself that I’m also paying for the knowledge and curation of the staff. And I’m a big fan of forming relationships with people I do a lot of business with. As much as I love Amazon’s customer service, there’s no one for me to talk to when I shop there. Sure, they can generate recommendations based on my purchase history and I can read customer reviews and those things are great. But I can’t have a conversation with an expert about books we both liked. Though I struggle, I do have one rule that’s served me pretty well. As much as possible, I reward recommendations by purchasing the recommended book at the place where it was recommended. 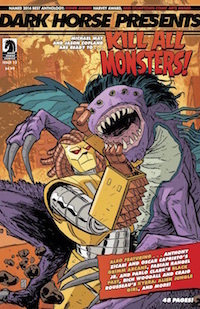 I’m in my local comics shop every week and buy all my single, periodical issues there, but I’ll often buy graphic novels and collected editions from Amazon, especially expensive hardcovers. The exception to that is when someone at the store recommends a book. 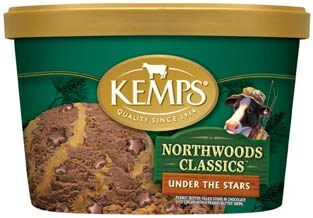 If they sell me on it, they have the right to my money. Unfortunately, I don’t have time to hit a lot of other independent bookstores to just visit and browse. Instead, I get my recommendations online. Not directly from Amazon most of the time, but there are a couple of great sites that cover books I’m interested in. Bookgasm is awesome and offers reviews of all sorts of genre books, but one of my favorite features there is Book Whore. 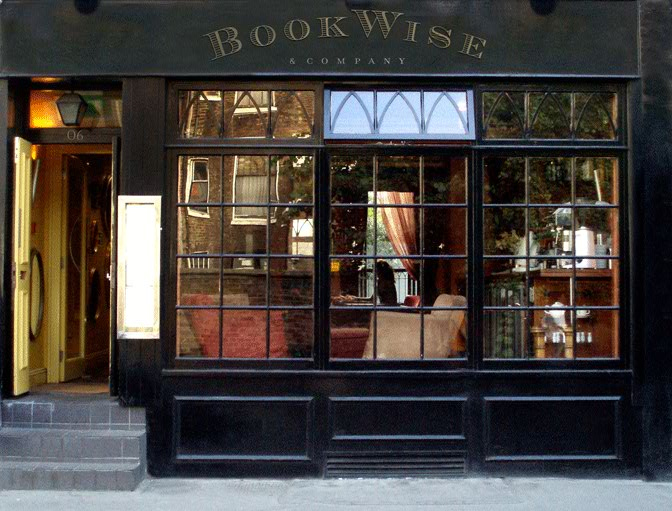 I like reading reviews, but Book Whore is great because it’s purely a browsing experience. They just post book covers and short blurbs from the publisher. If I see something I like, it goes on my Amazon Wish List. I’ve started browsing Bookgasm’s reviews the same way; looking first at the cover, then – if I like that – reading the first sentence or two to get a feel for what the book’s about or if it’s any good. 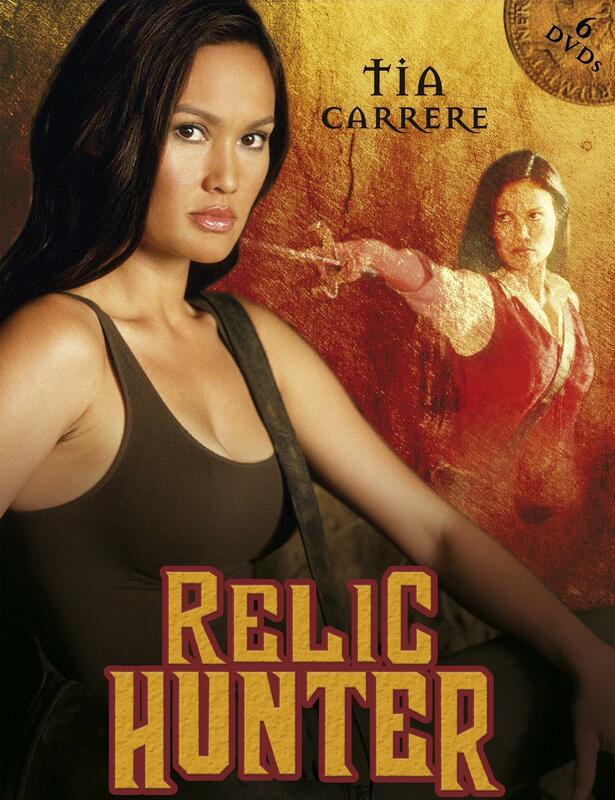 Another great review site for genre books is Calico Reaction by my friend Shara. I still tend to browse covers to help me decide what I want to read more about, but Shara helps with that even further by the way she formats her reviews. She’s always got a clearly marked publisher’s summary of the book right near the top of the review and if I’m still interested I can either read the review (she also lets you know up front whether or not there will be spoilers) or skip to the end for her rating. (I just noticed that she also puts the rating at the top of the page for quicker browsing, but I’ve come to love scrolling down to see what it is if a book’s grabbed my attention that far.) She also has other sections in each review where she reviews the cover art and talks about why she picked the book (she buys most of the books she reviews). It’s an extremely well-done site. Another great site for finding new things to read is Goodreads. I’ve been on that site for a few years, but they’ve recently made it extremely easy to find new books by introducing a monthly newsletter tailored to your preferences. Since it’s a social site in which you’ve been recording (and rating) your reading choices, it’s easy for them to highlight new books by authors you’ve liked. And if nothing in that list tickles your fancy, they also include new releases in broader genres and categories. From there, it’s just a couple of clicks to the online retailer of your choice. The problem with making online browsing so easy is that it doesn’t help with the guilt I feel over not supporting more of my local bookstores. But that guilt isn’t entirely external. In other words, I don’t feel guilty just because people tell me I should. 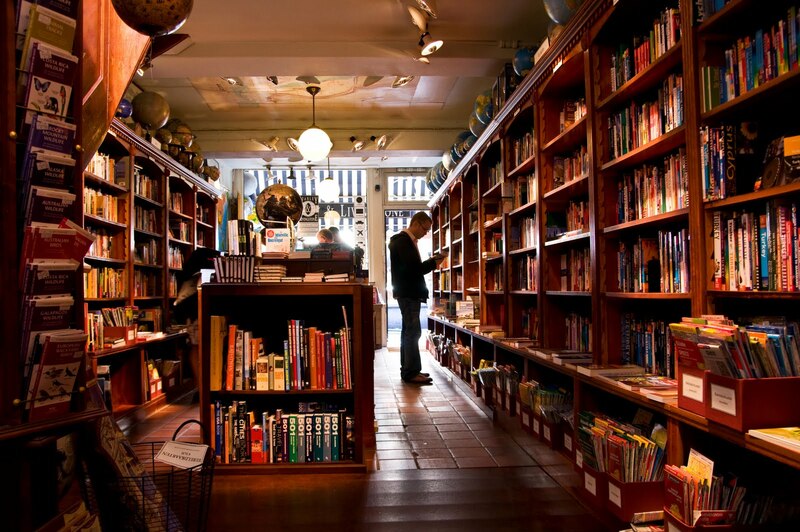 I feel guilty because there’s something I love about physical bookstores and I don’t want to see them go away. As Pimp My Novel once pointed out, physical bookstores have some advantages that online retailers can’t replicate: in-store appearances and community events, for example. 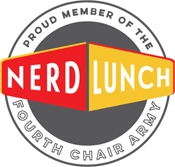 One of the things my comics store has done really well – though I haven’t taken enough advantage of it yet – is to build a sense of community with their customers. Even my local Barnes & Noble does a fantastic job of hosting book clubs and writers’ groups, though I haven’t participated in those either. That’s just because I’m busy, but I love knowing that those things exist and I know that they exist in the independent stores as well. Minneapolis has a fantastic mystery bookstore called Once Upon a Crime that always has signings and readings and launch parties going on. I only get to one or two a year, but I’d feel incredibly guilty thinking that I contributed to that store’s hypothetical demise by only shopping Amazon because they have the cheapest deals. 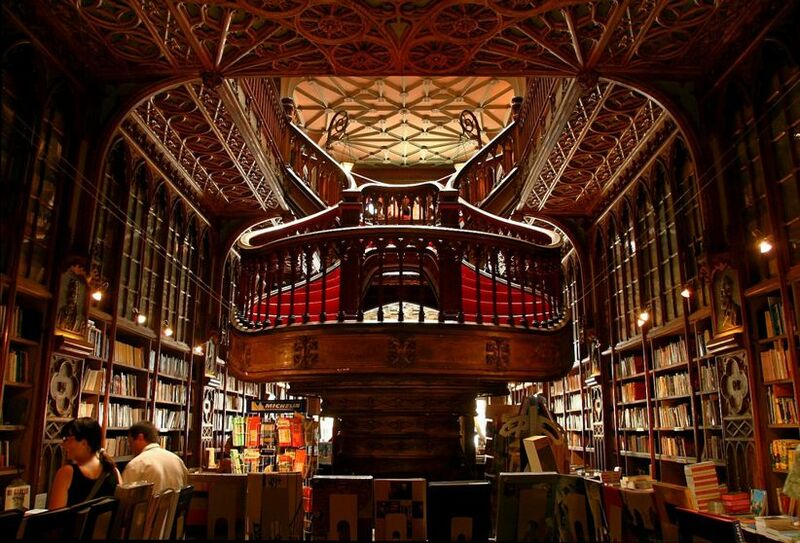 If I want to buy a mystery book, I make a point to drive over there. It’s tough to balance these loyalties and I don’t think I’ve hit on the perfect formula yet, but it’s worth trying to figure out. I’m curious to know what other people do. Do you choose retailers based on price, convenience, community, loyalty, or something else? 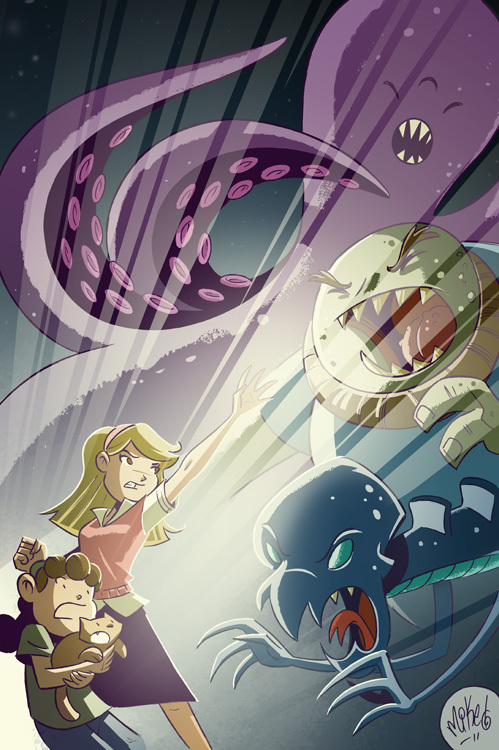 By Mike Maihack, from Dani Jones' webcomic My Sister, the Freak. 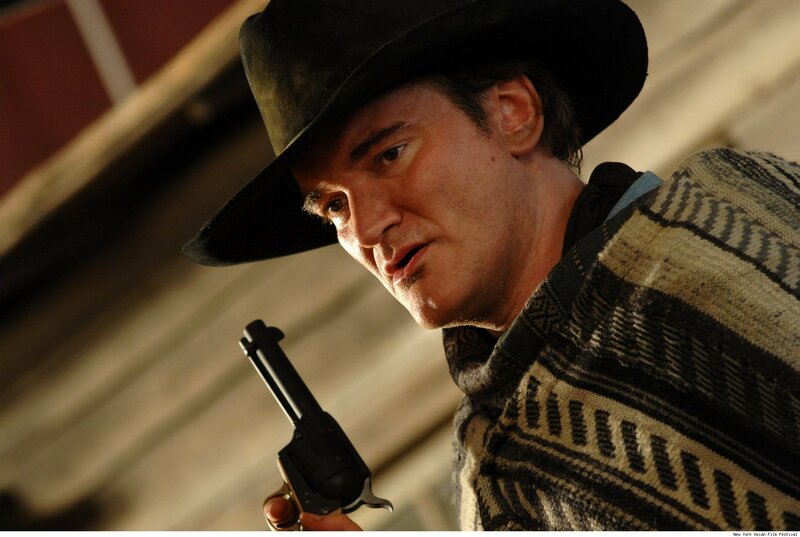 Quentin Tarantino's connection to the Django spaghetti-westerns doesn't end with his upcoming film Django Unchained. He's also got a cameo role in another Western starring (and apparently produced by) the original Django, Franco Nero. Titled The Angel, the Brute, and the Wise, Nero's film is an homage to John Huston (who discovered Nero) and Sergio Leone. It sounds like it's still trying to find financing, but hopefully that'll happen and we'll get to see it. Click the link for more details, including other cameos Nero has planned. Over at Byzantium's Shores, Jaquandor made an observation about his tendency to read certain genres at certain times of the year. For him, it's sci-fi and horror during the warmer months and fantasy when it gets cooler. Though my genres and seasons align differently than his, I thought I was the only one who did that. It started with horror and Autumn. I've always loved Halloween, so to prepare for it I've always read and watched horror in October. But as my collection and interest in the genre grew, I had to expand into September and even into August some. August however doesn't feel like horror time to me though, because I've come to associate the genre with that nip in the air while walking around for Tricks or Treats. And since I'm usually not quite done with the genre come November 1st, I've started letting it creep that way instead of into August. This year, I've also added some mystery to my Autumn reading and watching, especially murder mysteries. As the seasons turn toward death, it seems as appropriate as horror. I used to think of mystery as summer reading, but it's really not. The kinds of mysteries I like are more thoughtful than thrilling. There's an easy transition from horror to fantasy. Fantasy that's set in our world is just horror (or the kind of horror I like) without the threat of death. Both deal with the intrusion of the supernatural into the mundane. So as Autumn gives way to Winter, I find it easy to transition into fantasy and from there to space pulp, which is really just fantasy with technology instead of magic. I don't do hard science fiction. The Summer months are for excitement and adventure stories. 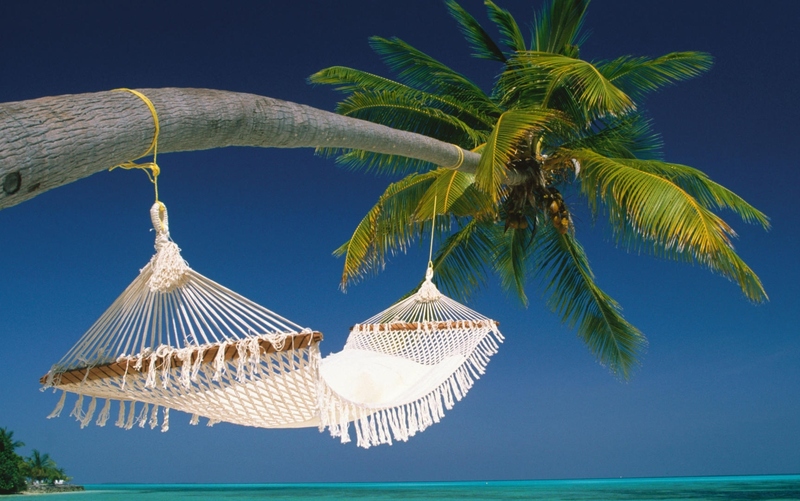 It's appropriate in the season of blockbuster movies and beach reading. My summer starts in May when the snow's finally off the ground for good in Minnesota. I don't read "romance novels," but I do like dramas and comedies with a strong romantic angle and I tend to gravitate towards those during February. Spring also seems like a good time to cleanse the genre palate with some general drama, comedy, and non-fiction. I've never been able to do that exclusively for three months though; I'm always sneaking in genre stuff at the same time. I'm curious to know if any of you do something similar. Do you tend to gravitate towards certain genres at particular times of the year? 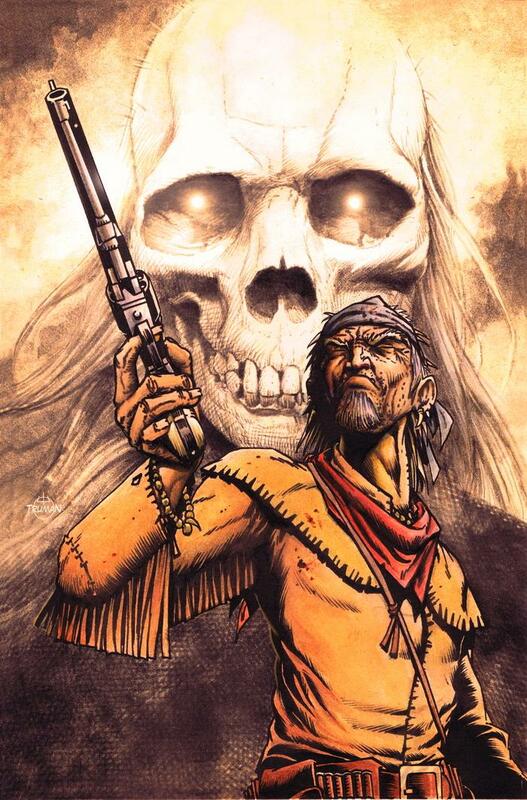 Tim Truman's one of the people most responsible for making Jonah Hex cool again, so it's exciting that he's got another Weird Western coming in November. According to the press release, "Hawken tells the story of aging gunman Kitchell Hawken and his bloody, one-man vendetta against the Tucson Ring, a brotherhood of arms merchants and corrupt politicians who once employed him." 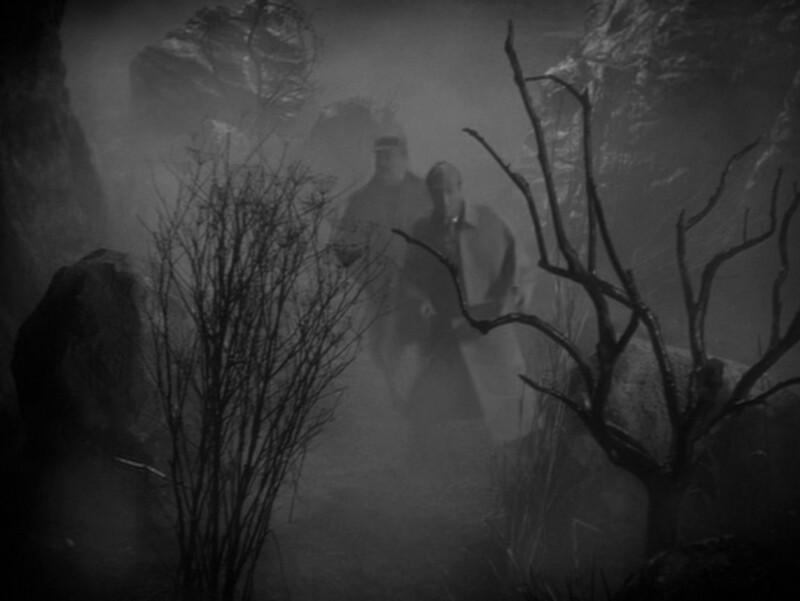 Where the Weird comes in is with his traveling companions: the ghosts of every person he's ever killed, cursed to assist the old man against their wills. 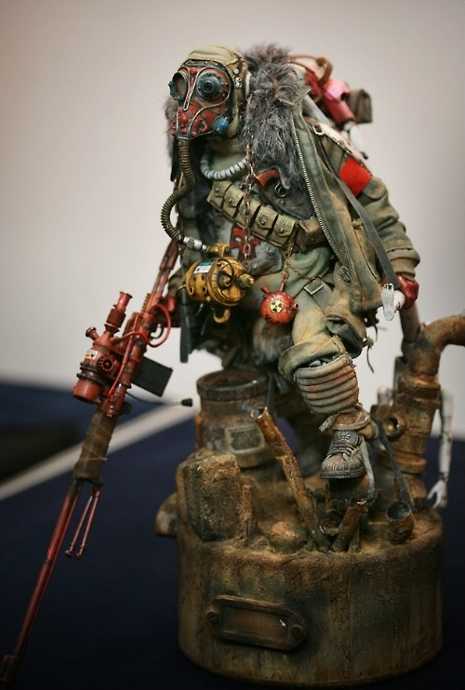 "In many ways," Truman says, "it’s not the ghosts who haunt Hawken; it’s Hawken who haunts them. 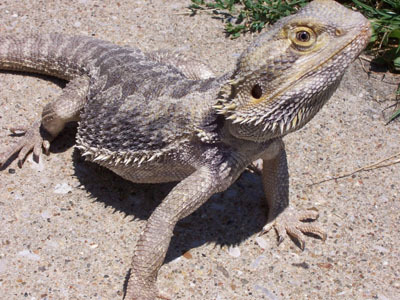 They try to trip him up at every turn." Hawken is a six-issue limited series and is written by Truman's son, Ben Truman, who developed the story with his dad on an Arizona road trip. I'm probably done posting thoughts about Planet of the Apes for a while, but I'm certainly not done enjoying stories about it. 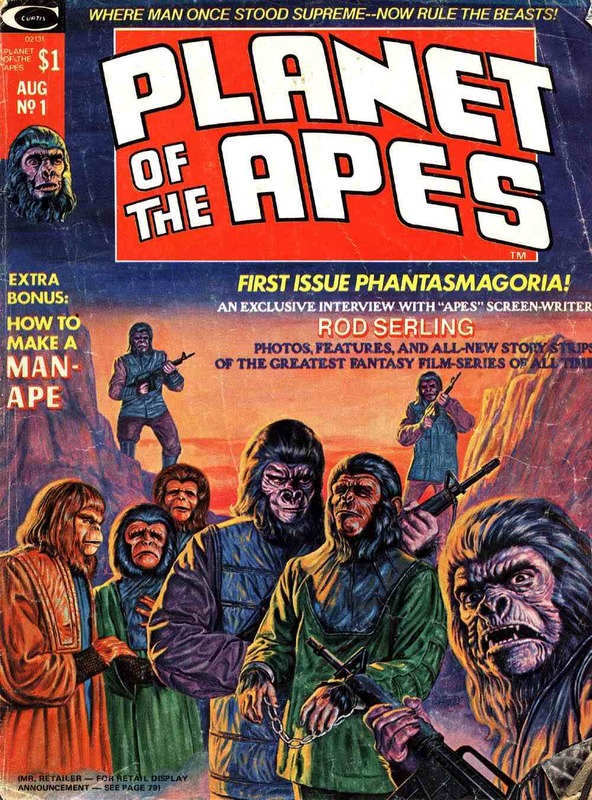 If you're not either, check out Diversions of the Groovy Kind for the first part of Gerry Conway, Doug Moench, and Mike Ploog's "Terror on the Planet of the Apes" from Marvel in 1974. I’ve wanted to check out Campfire’s comics adaptations of classic literature for a while now. I keep seeing them listed in Previews and wondered if they were any good. Adaptations like Graphic Classics and All-Action Classics have raised the bar for this kind of thing and my expectations have gone up too. Campfire was nice enough to send me a few titles to review and since I’ve just seen the Rathbone Hound , I put that comic on top of the pile. 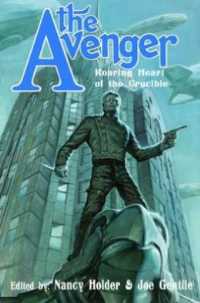 As I read it, I was reminded of Siskoid’s comments about the Classics Illustrated version of Hamlet: “Plot, plot, plot. The original Classics Illustrated is driven by it rather than poetry or emotion.” Not to compare Doyle to Shakespeare, but that’s the feeling I got about Campfire’s Hound too. Doyle’s novel is atmospheric with its vivid descriptions of the eerie moor. It’s a wild place with only a few, scattered houses and every walk home is filled with peril. If you’re not straying over sudden cliffs or falling into bottomless mires, you’re on the run from supernatural dogs and homicidal madmen. It’s a setting full of adventure. It’s too bad that the Campfire volume captures so little of it. For example, Doyle’s novel begins spectacularly with a cold open of an old man being chased by an unseen pursuer down an alley of ancient yew trees. 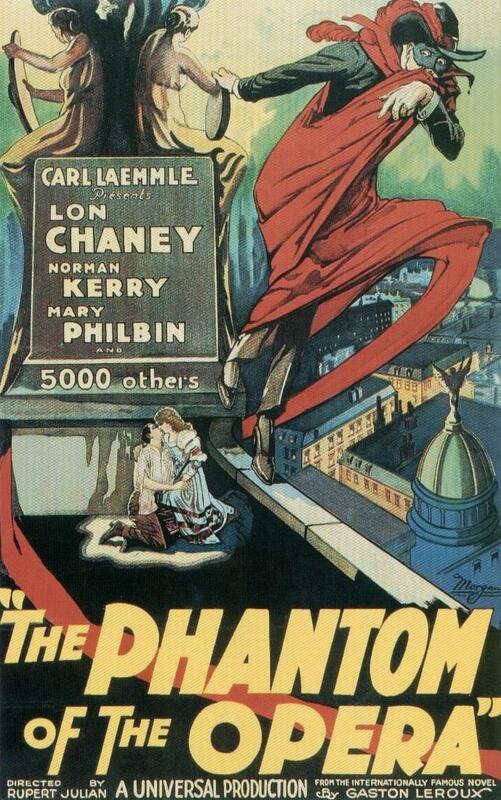 He falls dead within sight of the door to his lavish mansion. JR Parks begins his adaptation with a history lesson. To be fair, the history of Baskerville Hall is thrillingly gruesome, but it requires some set up before getting to the part about the cruel nobleman, his capture of a beautiful girl, her escape, and his doomed pursuit of her across the moor. 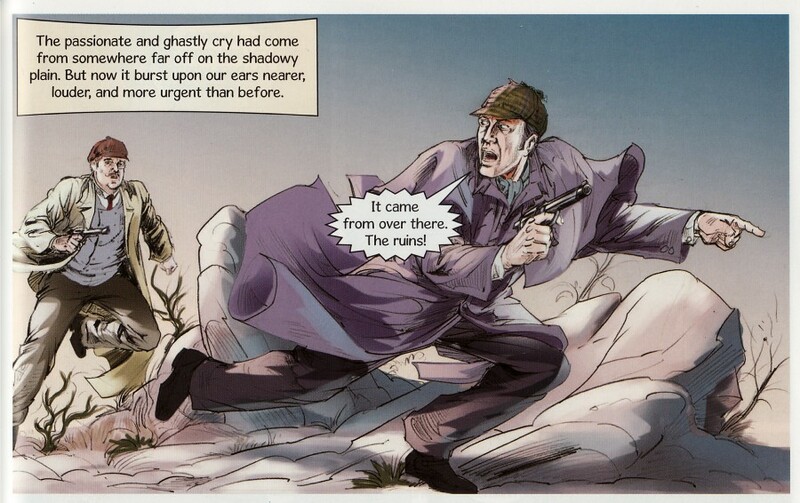 Doyle brilliantly does his set up with the novel’s opening scene. 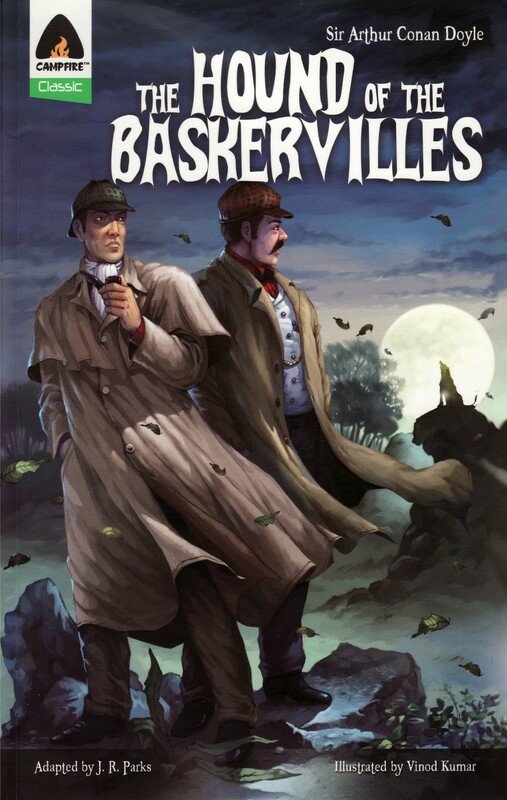 Readers are introduced to Baskerville Hall by seeing Sir Charles Baskerville die there. 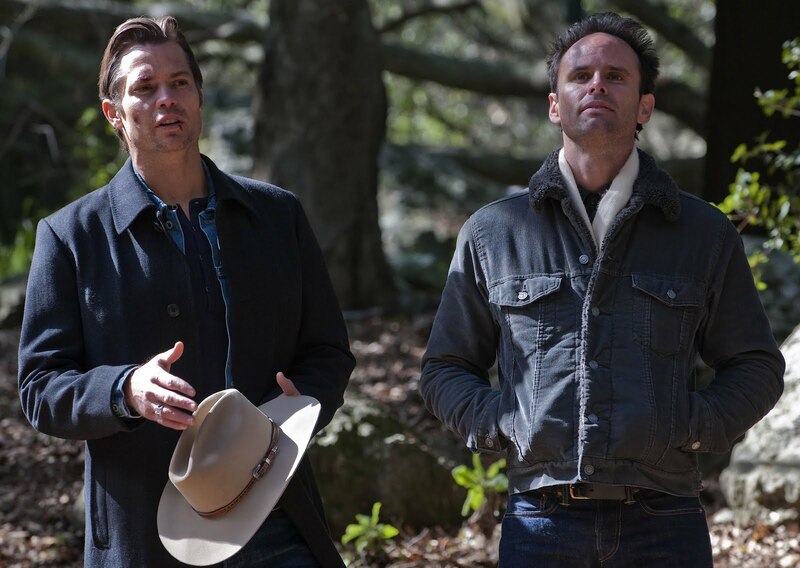 So by the time we hear the backstory, we’re already on edge and very interested. 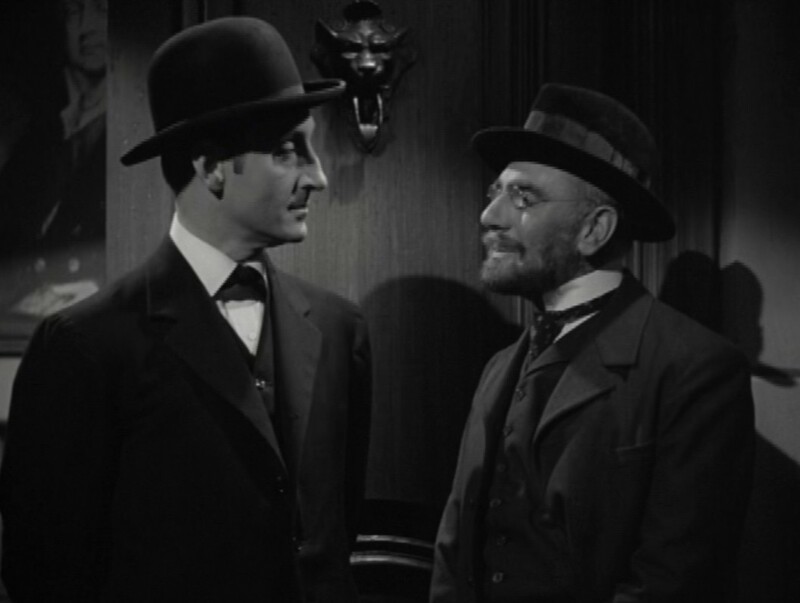 Gone also are the bits where Holmes and Watson speculate about Mortimer based on the cane he left earlier when they were both out. 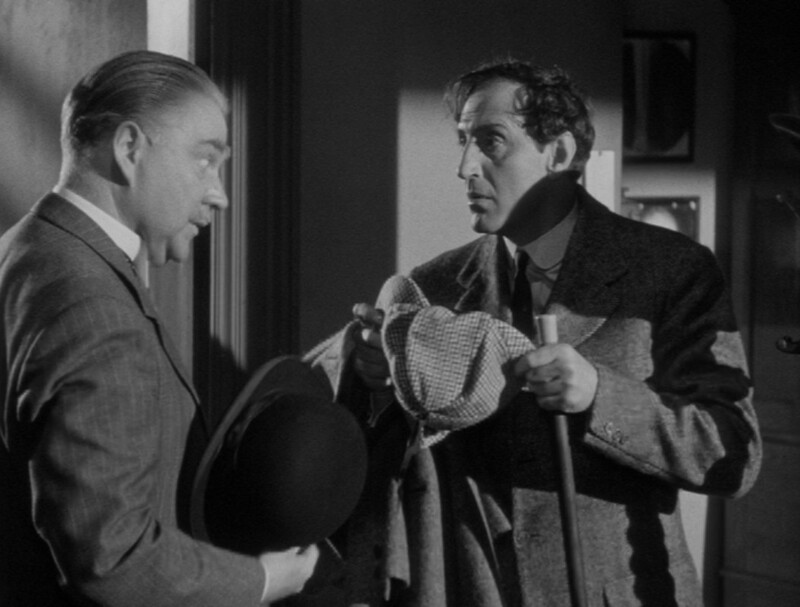 Holmes mentions the conversation to Mortimer, but we don’t get the fun of seeing it. That’s the main problem with this comic. It gets the job done of telling the story, but has no fun doing it. Vinod Kumar’s art doesn’t help. He does a nice job with landscapes and architecture and creating an environment that stays consistent from panel to panel, but nothing feels solid. Interiors are especially sparse as if the people who live in these places haven’t quite moved everything in yet. Kumar also has a hard time drawing people. Heads are frequently too small for their bodies and no one’s clothing fits correctly. There are also a limited number of faces and body types that Kumar’s comfortable with, so he relies a lot on facial hair to tell the characters apart. 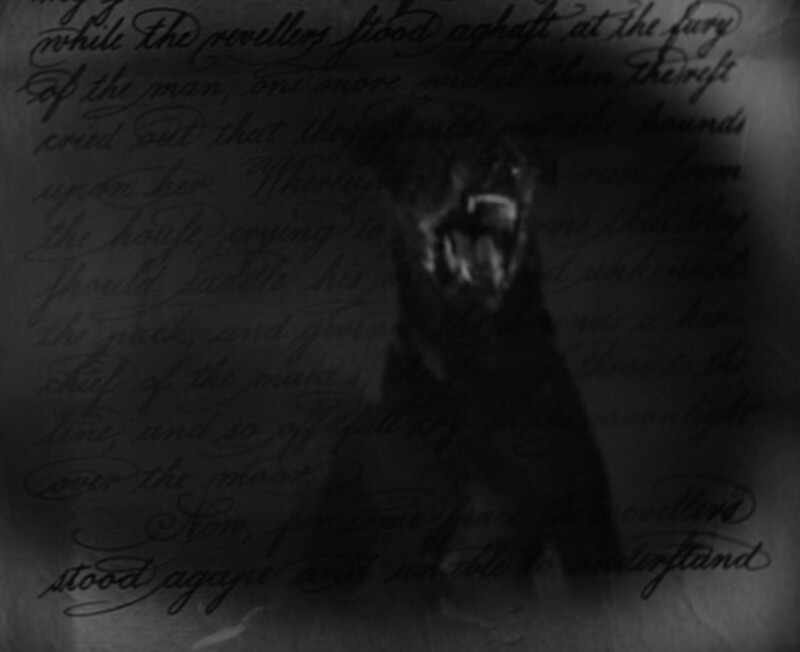 I’ve still got a few other Campfire books to read, so I’m not giving up on the publisher just yet, but their Hound of the Baskervilles isn’t a promising start. 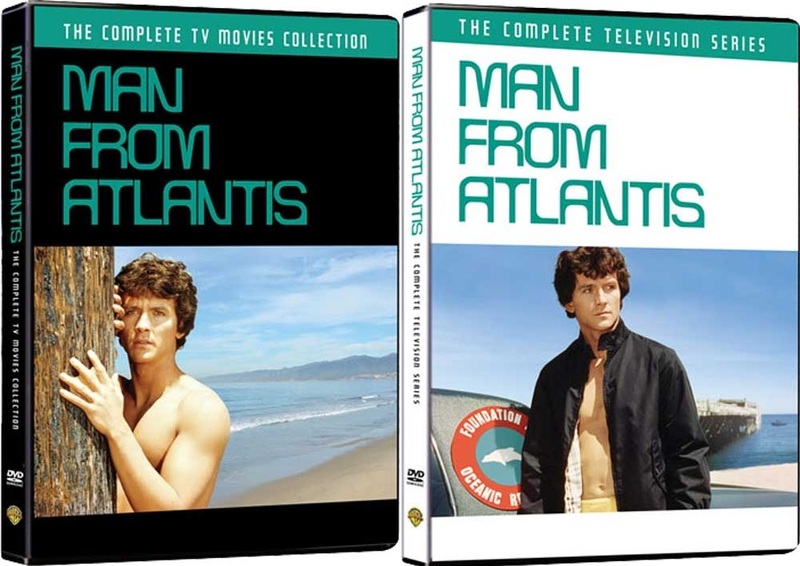 The Warner Archive is selling not just the complete Man from Atlantis TV series, but also the movies that inspired it. I have no idea how well it's held up, but I loved that show as a kid in Florida. Every time we went to the pool - or better yet, the beach - I became Mark Harris, lurking below the waves, looking for ways to beat evil Victor Buono and his awesome submarine. 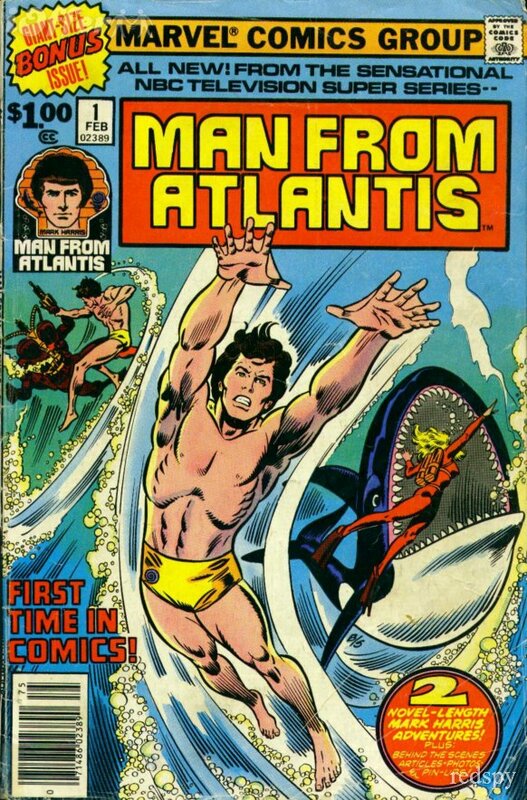 Back in May, I noticed that as I was being born, Tarzan was fighting an underwater triceratops. I mentioned that that may be a revealing piece of information, but it took Siskoid to not only turn it into a meme, but improve on it with a second feature. My comics birth sign (as Siskoid's dubbed it) is based on a comic with the same cover date as my birth month, but if you visit that same Comics Time Machine, you can also show all the comics sold during your birth month. Siskoid calls this "you ASCENDANT, a secondary sign that has a strong influence on you, especially during your upbringing." Naturally, I had to find mine. 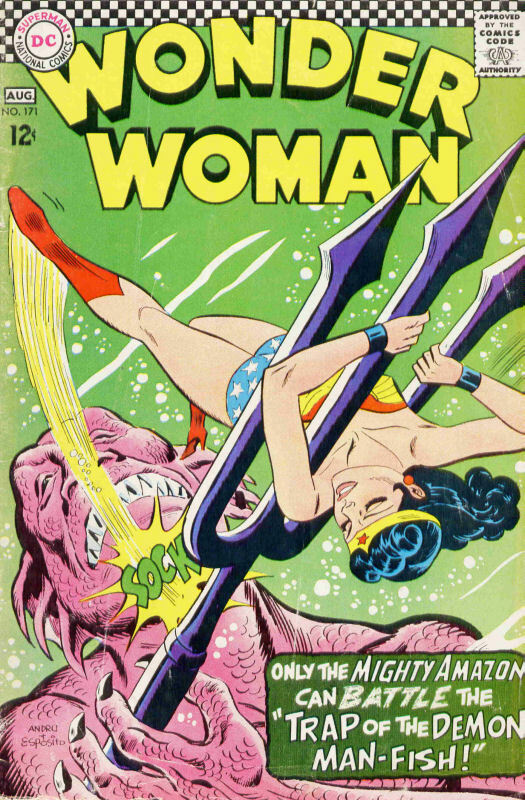 Wonder Woman vs Sea Monsters is an entirely appropriate ascendant sign for me. 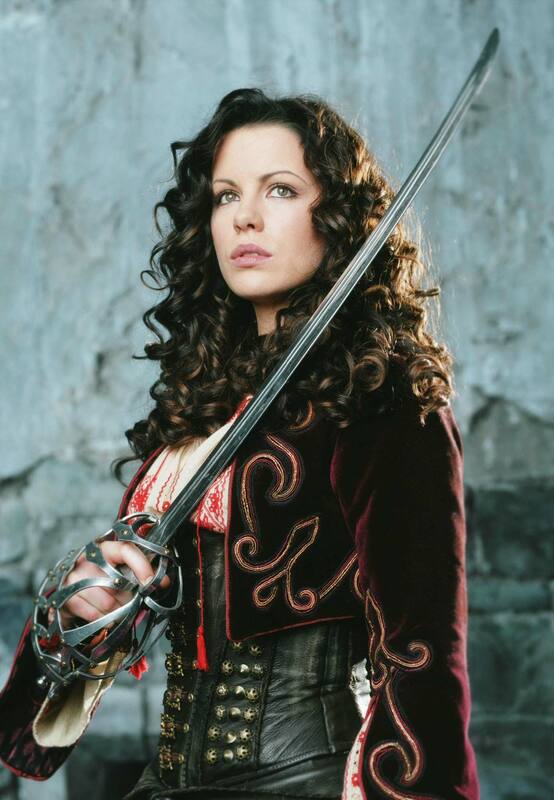 If there was anything that combated my interest in exciting adventure fiction as a kid, it was pretty, strong-willed girls. Other than the girls becoming women, not much has changed since then. 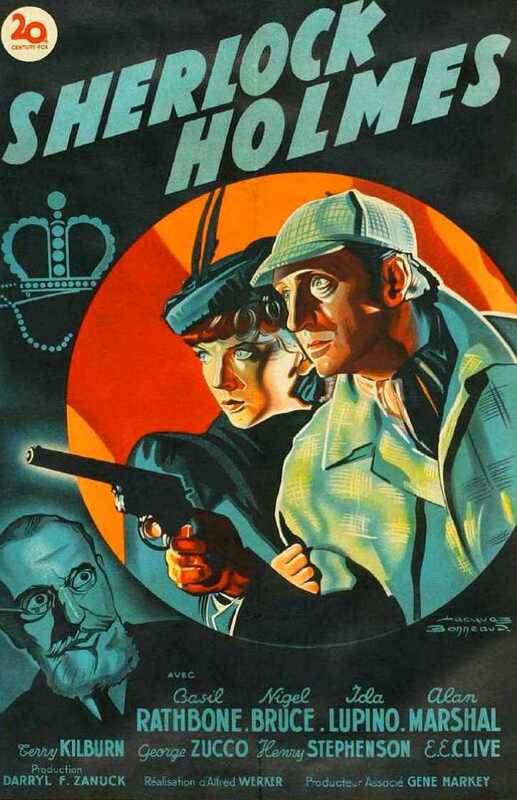 With the Sherlock Holmes sequel coming up at the end of the year, it seems as good a time as any to dig into some Holmes stuff. 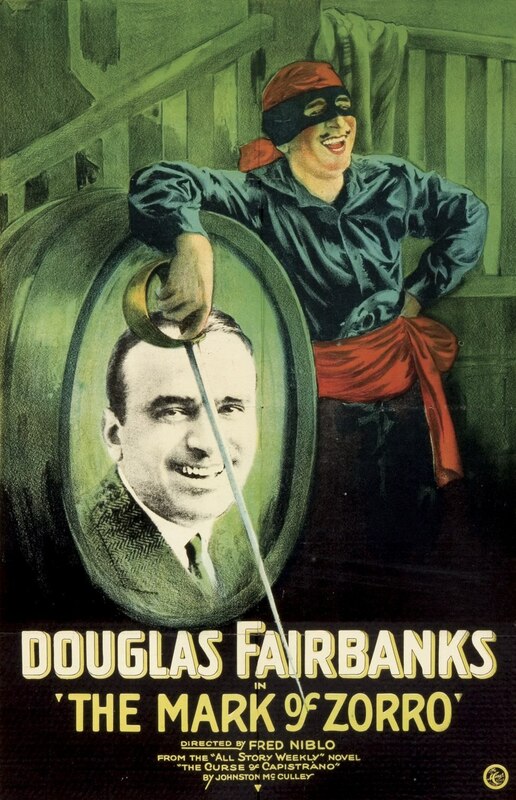 It’s been years since I’ve read any of Doyle’s stories and I’ve never seen most of the really good, classic Holmes movies. 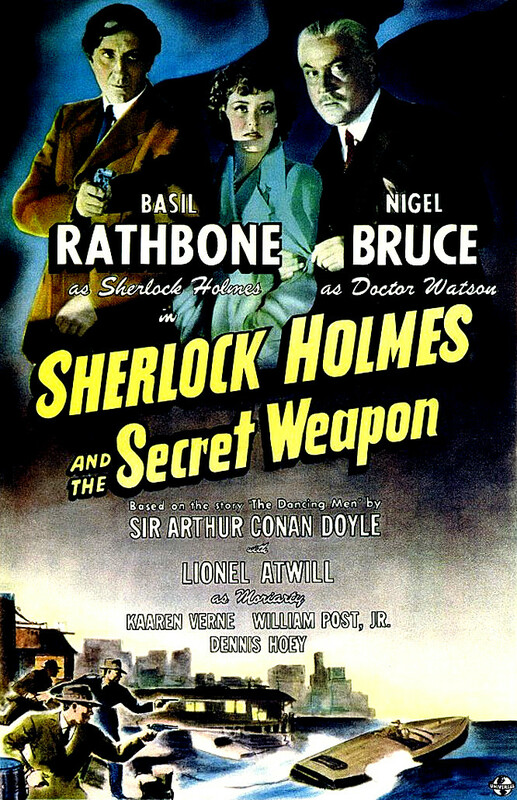 My only experience with the Basil Rathbone films has been catching part of one of them on cable and not being impressed that Holmes and Watson were fighting Nazi spies. 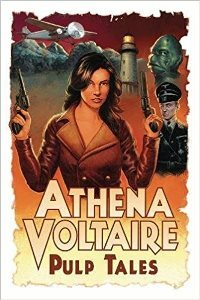 I’m usually all for people fighting Nazis, but that seemed to be stretching Holmes’ milieu further than I wanted it to go. 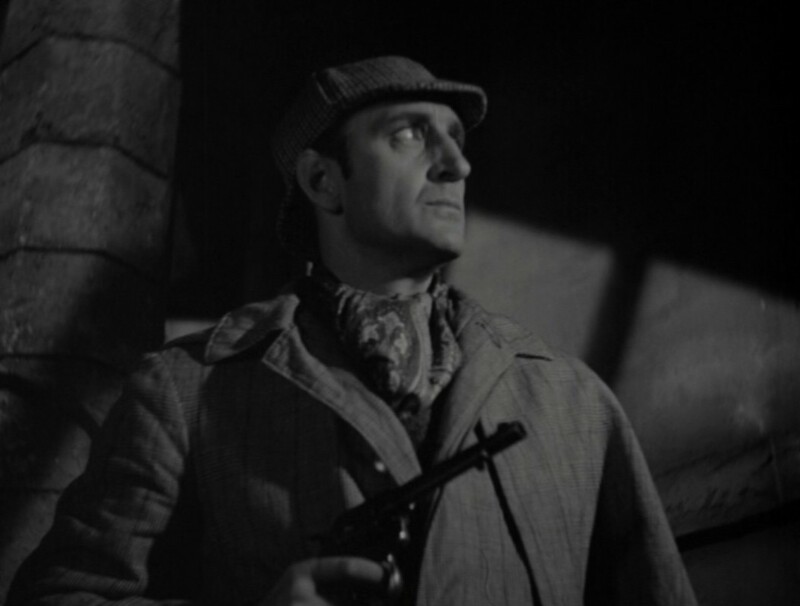 I’ve always been curious about those movies though (mostly because Rathbone is such a perfect actor to play Holmes), so I wonder if seeing them in the context of the whole series will make the time shift easier to take. There’s no time shift in the first one. 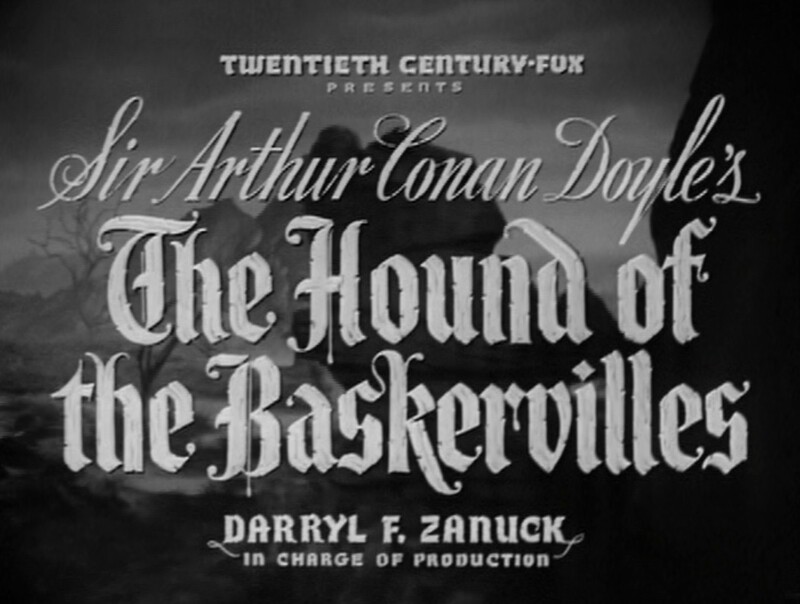 The Hound of the Baskervilles is a more-or-less faithful adaptation of the Doyle novel, including its Victorian setting. I have to say “more-or-less” though because it’s been so long since I’ve read that novel and don’t remember many details about it. 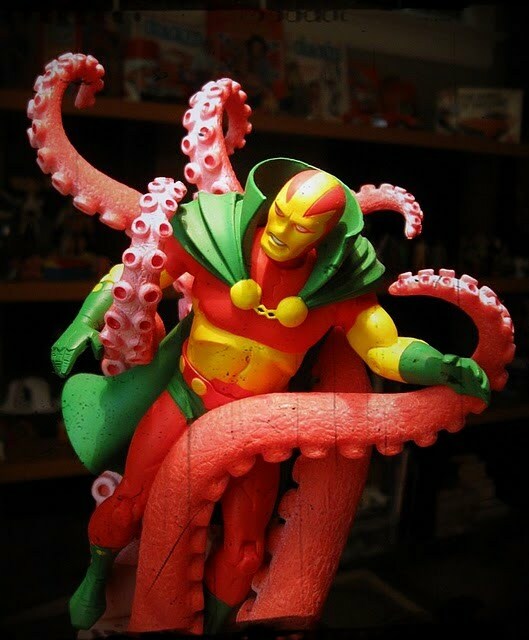 Even though I’ve read a few comics adaptations of it (I’ll talk about them in future posts), I never can remember who the villain is until its revealed. 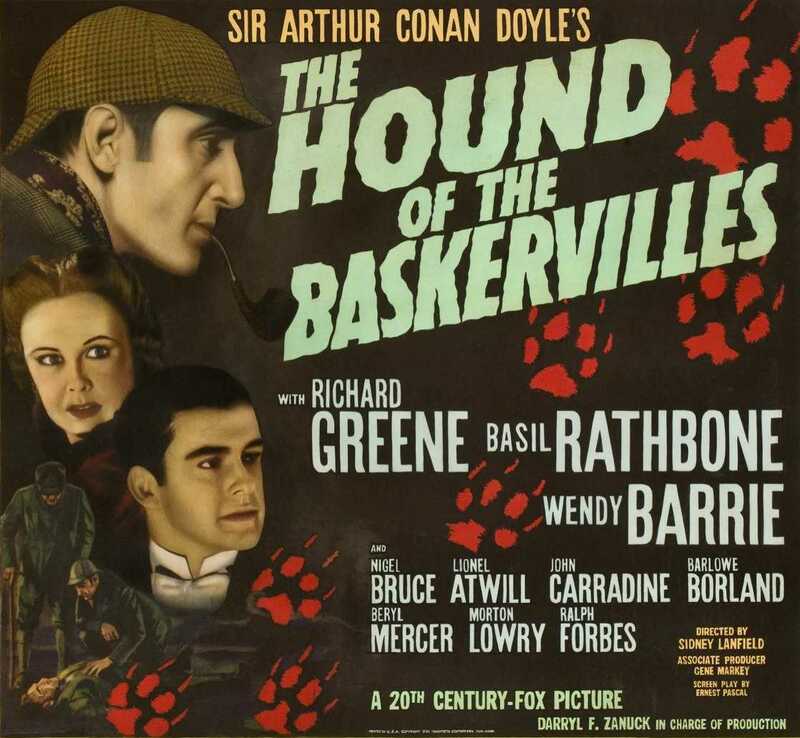 I usually only recall some impressions about the story: the body in the alley leading onto the moor, the demon-hound, the gothic flashback, the madman, the bottomless bogs, Holmes in disguise. It’s a fantastic story filled with impressive imagery. No wonder it’s a favorite and a natural pick for adaptation. 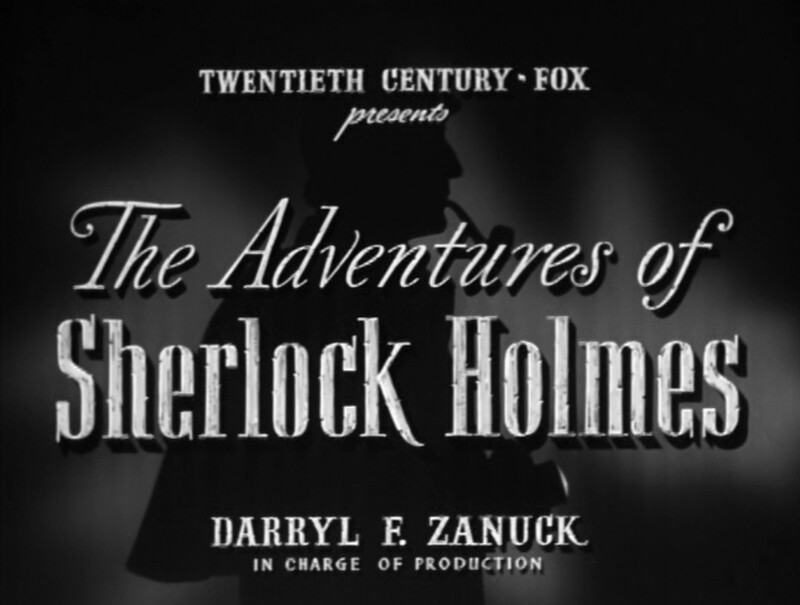 Right after I watched this version, I described it on Facebook as “the Universal monster people doing Sherlock Holmes.” Even though it’s actually a 20th Century Fox film, I still feel that way. 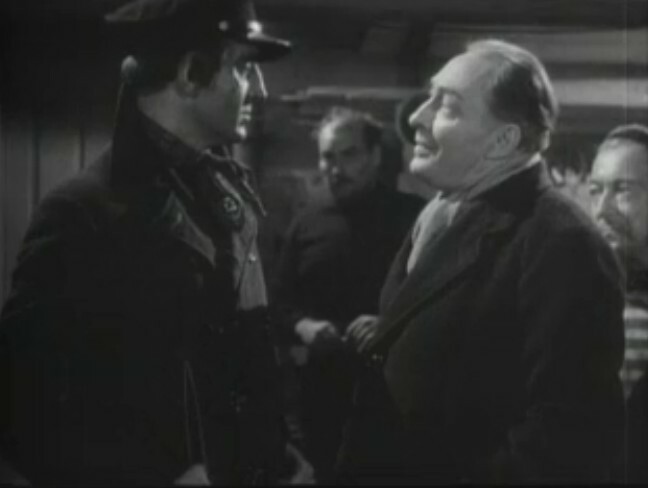 The cast is a big part of it with Rathbone and Lionel Atwill (Dr. Mortimer) facing off again after Son of Frankenstein (also from ’39). 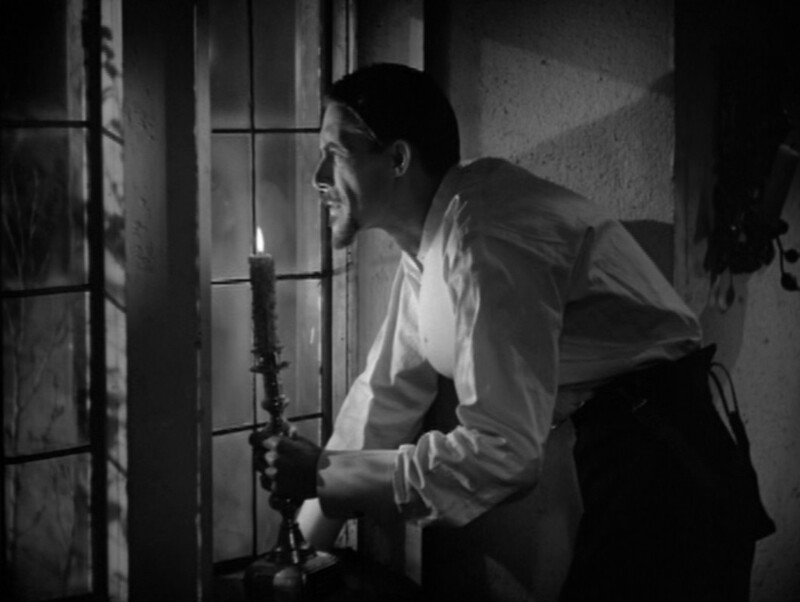 John Carradine (Barryman the butler) would go on to play Dracula in House of Frankenstein and House of Dracula and EE Clive (a hansom cabby) was in both Bride of Frankenstein and Dracula’s Daughter , but I remember him best as the constable in The Invisible Man . Even more than the cast though is the mood of the thing. Baskerville Hall and its neighbors on the moor look and feel a lot like the castle and village from the early Frankenstein films. What’s more they look better than what I ever imagined when reading the book as a kid. Everything’s dark and spooky; the moor's full of treacherous pits, jutting crags, and ancient ruins. 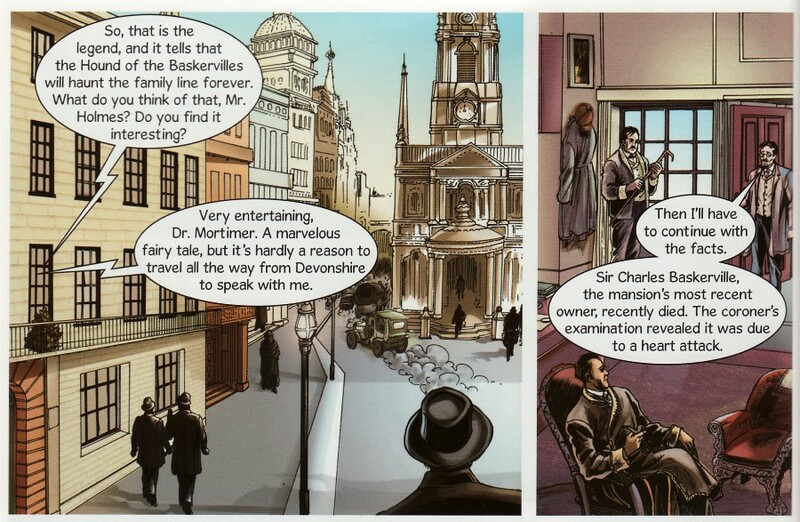 It's the perfect place for Holmes and Watson to run around while investigating supernatural murders. 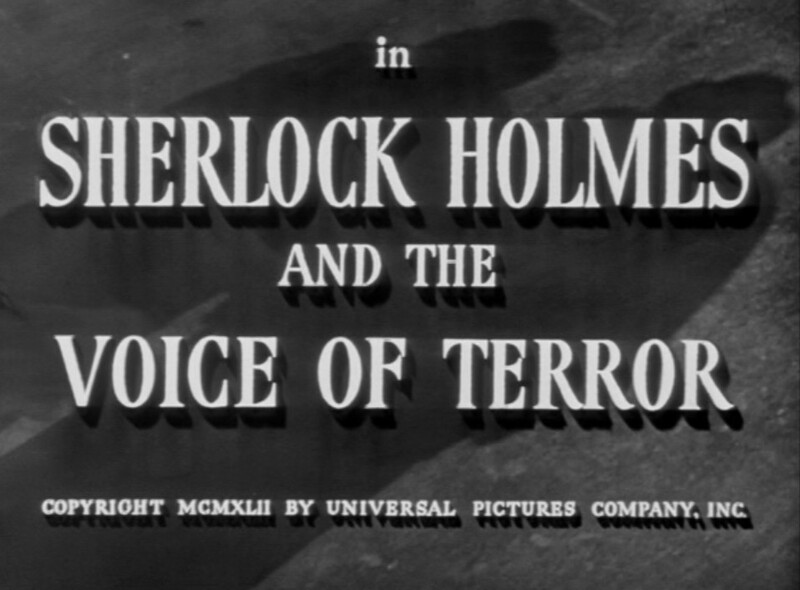 As I read and watch other adaptations of Hound of the Baskervilles, this will be the one to beat. 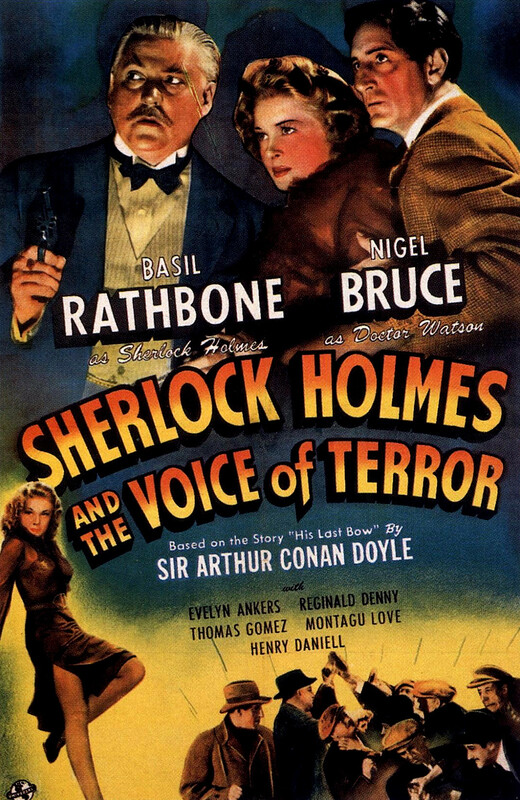 I should mention Nigel Bruce as Watson. Though I’ve always heard people speak highly of him, I’ve also somehow connected his performance with the stereotype of Watson as kind of a bumbler. I don’t know why; it’s just a prejudice I’ve had for years. 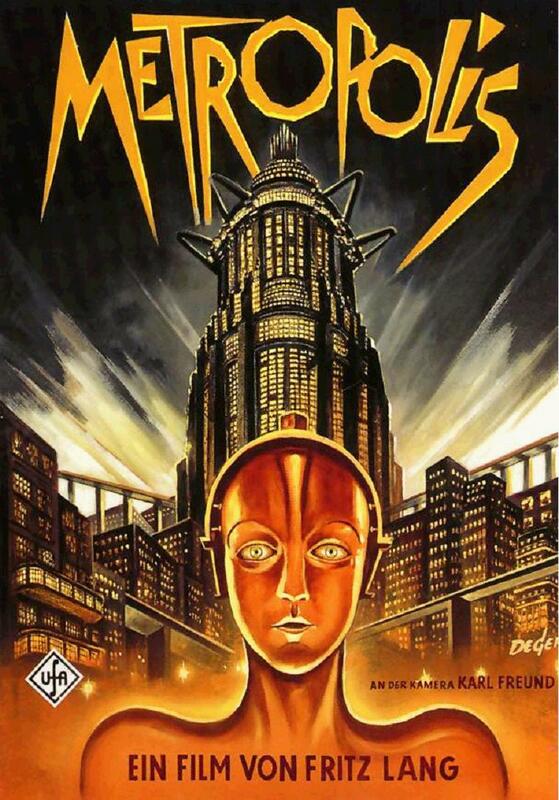 It’s not from this movie though. 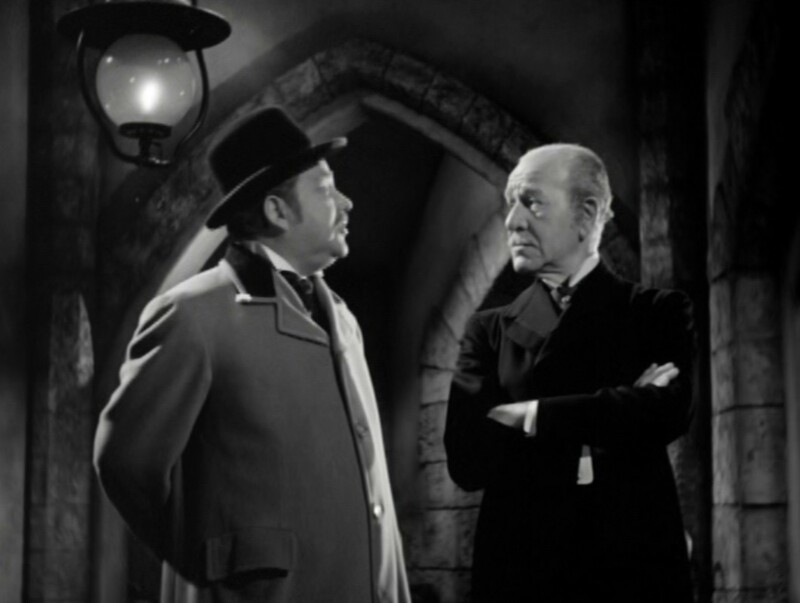 Bruce’s Watson in Hound of the Baskervilles is a lot like the literary one. He’s not in Holmes’ league of course (no one is), but he’s learning and he’s already competent enough to have earned Holmes’ respect as a companion and student. 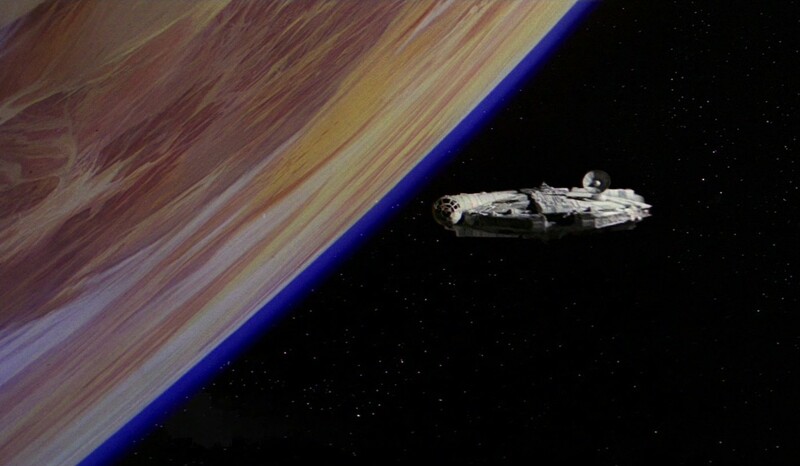 The only glitch in the film was a small speech that felt tacked on at the end. 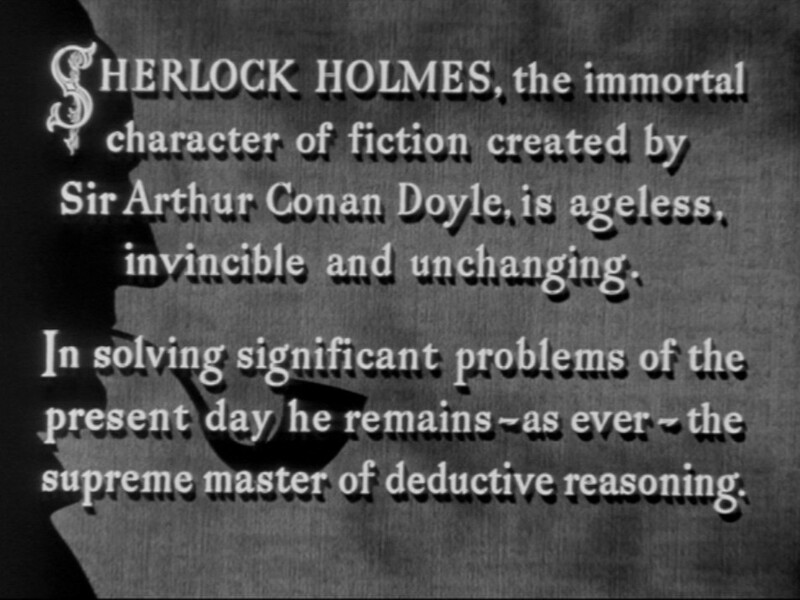 One of the characters (I won’t say which for fear of 70-year-old spoilers) fawns over Holmes: “Mr. Holmes, we've admired you in the past as does every Englishman. 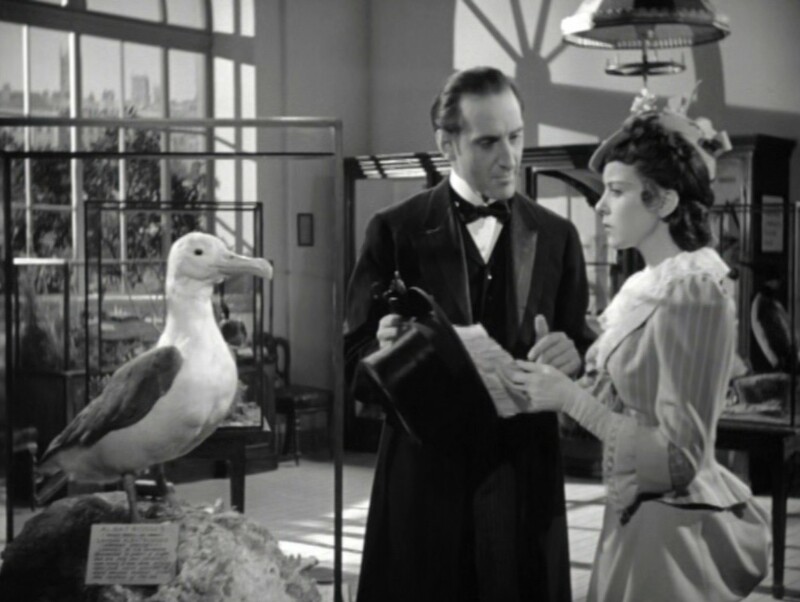 Your record as our greatest detective is known throughout the world. But this - seeing how you work - knowing that there is in England such a man as you gives us all a sense of safety and security. 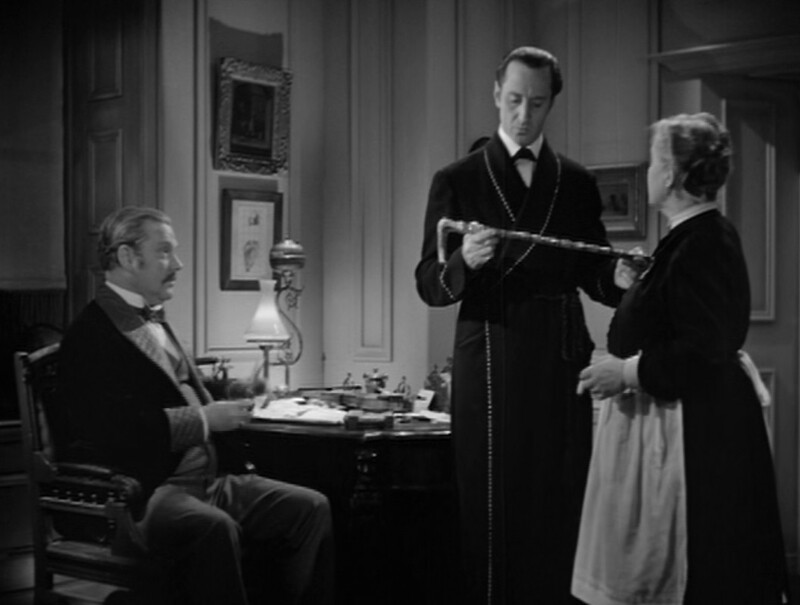 God bless you, Mr. Holmes!” I’m used to people being impressed by Holmes, but this seems to overdo it a bit. The line about safety and security was especially jarring as I recalled what England was going through in 1939. Though it was a Hollywood film, I couldn’t help wondering if the line was written with then-current events in mind. “If only England had such a man now.” That pulled me out of the Victorian fantasy. 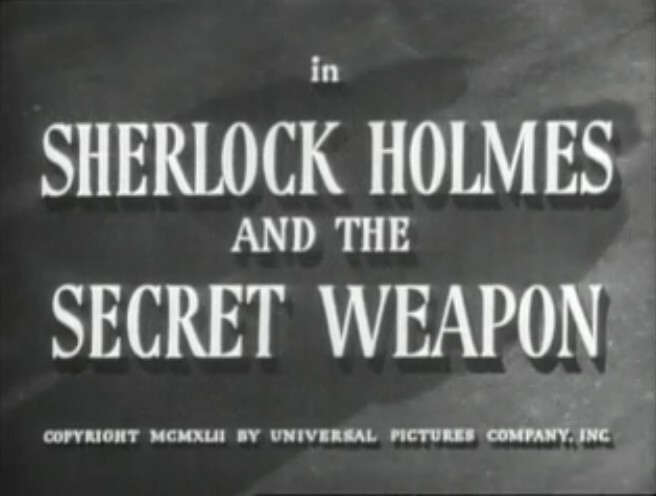 Not as much though as relocating Holmes to 1940s Europe would later in the series.